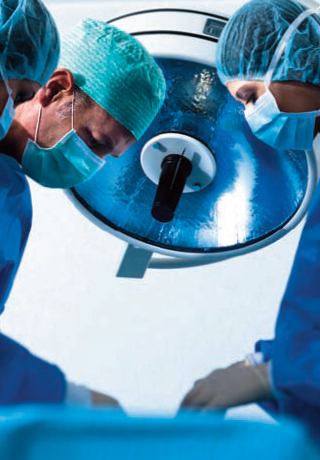 The decision to undergo surgical intervention involves both patient and surgeon. Once the decision has been made by the patient and agreed to by the surgeon, surgery will take place. Surgery has several risks that should be discussed at length and in detail between the patient and the surgeon. After the pre-surgery discussion, a form of consent to undergo the procedure is signed by the patient. During the surgery, the surgeon may feel that he or she did a great job, addressed and treated all pathology as much as possible, and ultimately helped alleviate the pain in the affected joint. If there is any hardware (implants of any sort), sutures, anchors, tacks or pins placed, then these were placed because the surgeon felt that they were needed in order to achieve a successful surgery: to help restore normal anatomy of the joint. The goal of the surgery is to increase function and to diminish pain. The long-term risks and side-effects of the surgery are stiffness, weakness and persistent pain. Therefore, even if the surgeon did a "great job" , the joint may not function well without the patient's motivation and guided physical therapy. In order to combat stiffness and weakness and to keep away the pain, a home exercise program is warranted. A stiff joint that is strong is not a functional joint. On the other hand, a joint with full motion but no strength is also not functional. The goal of postoperative and/or preventive therapy of the joints is to maintain a fully mobile joint that is strong. A mobile joint that has good muscle tone, endurance and conditioning may prevent pain from getting in the way of a healthy, active lifestyle. To this end, the POP-DOC home exercise program and program for joint preservation and rehabilitation are of utmost importance. It is important to understand that during arthroscopic surgery and/or open joint surgery, the joint is cut into, penetrated, and violated. This causes the tiny nerves around the joint to be stretched and sometimes cut. These are the nerves that make muscles work, or give you feeling of stretch, temperature, vibration, pain, and/or light touch. These are also the nerves that maintain your posture and allow you to know where your joint is in the world. Immediately after surgery, the nerves around the joint are stretched, disrupted and shocked. Therefore, it takes a period of time for the joint to recover and the nerves of the joint to recover to a normally functioning state. During this time, the joint may not move in a normal fashion. One aspect of this website is to help joints recover from surgery by helping it become retrained, so it can move in all different directions (planes) again. If this is achieved and motion returns, then strength can return as well. With good strength and motion, the activities of daily living, sports, and work can be carried out to an acceptable level. The POP-DOC home exercise platform is laid out in a stepwise progression to allow the operated joint to recover as a supplement to physical therapy. It by no means replaces physical therapy or the work of a physical therapist. Pain comes in different flavors/colors and is perceived by people in different ways. Some people have stronger and higher pain tolerance, while others have a lower threshold of perceiving pain. At times, the pain is good, as it tells the body to stop doing something. Other times, the pain is bad because it prevents the body from doing something with the joint. As long as you (the reader) are continuing to see your doctor postoperatively and the doctor feels that everything is progressing as far as healing goes, then, for the purpose of the POP-DOC program, the pain of regaining motion, strength and function in the postoperative joint will be considered normal and common. This is the period of time within the first week after surgery. The surgical anesthesia will either have been local, sedative, general, or regional. This can affect the immediate postoperative course. Those without general anesthesia can potentially have less nausea and vomiting and can begin to tolerate eating and drinking sooner. In addition, if there is regional and/or local anesthesia, the first six or eight hours may be relatively free of sharp pain. As time goes on, there is potential for sharper, deeper pain. Utilizing adequate ice, rest, positioning, and pain medication can help make the first week after surgery more tolerable. 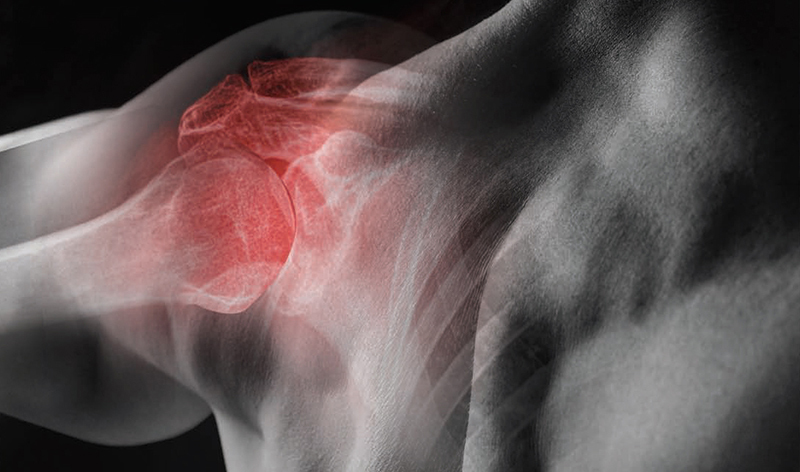 Cold therapy should be applied quite often to the operated shoulder with a bag of ice or cryotherapeutic device. There are several benefits to ice and cryotherapeutic devices. The ice pack or bag of frozen veggies may not get close enough to the shoulder joint to actually cool it down. The use of appropriate cryotherapy can actually cool the joint fluid down, which will diminish the inflammatory mediators in the joint. This, in turn, will lessen the amount of postoperative swelling in the joint and allows patients to feel better faster and with less narcotic usage. Doctors have different philosophies about how often people should use ice. This is something to discuss with your surgeon. Anti-inflammatory and narcotic medications are also at the discretion of the physician. At times these medications come with unwelcome side effects. A sling or immobilization device is sometimes utilized after shoulder surgery. The type of surgery performed and the doctor's philosophy will determine how long the sling is used, what type of sling is used, and how often it can be removed. Home exercises can begin about 2 weeks after joint surgery by first warming up the joint. This will allow the soft tissues to become more pliable and flexible. After exercises, the joint should cool down with ice to help control some of the inflammation that can occur after stretching tight tissues and/or mobilizing retained fluid.